As has been my tradition for the past couple of years, today I am sharing with you the ten posts from 2013 that have been my favorite. In 2013, my blog grew by leaps and bounds. There were some posts I thought would do well that bombed. There were others, written on the fly without much thought that were big hits. This year, especially, it has been fun to look back at what has happened, how my writing has changed, and how my blog has matured. 1. Letting Then Spread Their Wings - This one was written as I prepared to let my oldest go on her first big trip away without me. 2. What I Learned on a Fifth Grade Field Trip - Written after accompanying my oldest daughter and her entire 5th grade on an overnight field trip. 4. A Belated Father's Day Post for my Hubby - This was a Tuesday Ten in which I asked my daughters to tell me the things they loved most about their daddy. So sweet! 5. Ten Favorite Family TV Shows - I listed my favorite TV shows from when I was a kid. 6. One Word - This was written as part of Finish The Sentence Friday. It really seemed to resonate with readers. 7. Letter to My Daughter Upon Entering Middle School - Just as it says, a letter I wrote to my oldest daughter as she began middle school this year about all the things I wanted her to do and remember. 8. Things I've Learned from My Kids - A Tuesday Ten list of lessons my kids have taught me. 9. Godspeed, Sweet Dreams - Another Finish the Sentence Friday where the prompt was "the best part of my day" and I wrote about watching my girls sleep. 10. Great Lengths - Another FTSF post. It was fun to walk down memory lane for this one and remember how much trouble we once went to in an effort to find the perfect Halloween costume. There were three other posts that were very special to me this year ben though they didn't run here on the blog. 1- In July, I had this post on Scary Mommy about how different date night is after you have kids. Getting a post accepted by Jill Smokler of Scary Mommy was a HUGE deal for me and I was so excited about it! 2 - Just this month, I had this piece featured on Mamalode. It was a tough piece to write. 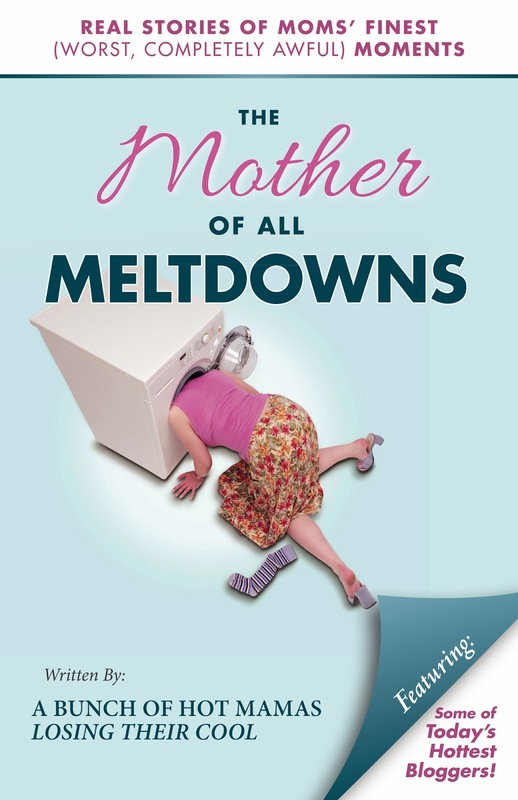 I was nervous about publishing it, but it got so much support and I consider it an honor to be on Mamalode. 3- This one isn't exactly a post, but I had and "essay" PUBLISHED in a Book!!! Of course, it is awesome to be able to say "I'm published!" but being part of this book was so much more than that. I met 29 other wonderful bloggers that have become a support network and a sounding board. I consider each and everyone of them a friend and I look forward to working with them again in the future! My next Tuesday Ten will be published on January 7th. It will be a New and improved Tuesday Ten linkup party!!! I'm going to be co-hosting with Rabia from The Liebers. Each week, we'll be giving you a topic for the coming week. For January 7th, the topic is New Year's Resolutions. We are very excited about this venture and we hope you will consider writing a post and linking up with us! Great list of posts! I remember quite a few of them, but I'll have to go back and check on the others. Can't wait for next week! I should get started on my list of resolutions soon, huh!?! I'm so glad we met this year, Lisa - it's been wonderful getting to know you and your family through your blog, and through our MOAM facebook group. I will be on the lookout for your Tuesday Ten link up in January! Happy New Year, Lisa! I love being blog friends as well as co-authors. Looks like Tuesday Ten is a huge hit for you! Ha! I'm having trouble coming up with 10 resolutions myself! But, I can't wait and I hope it is a smashing success! Thanks Dana! I have enjoyed getting to know you, too! Thanks you Tamara! I so glad we have become blog friends as well! 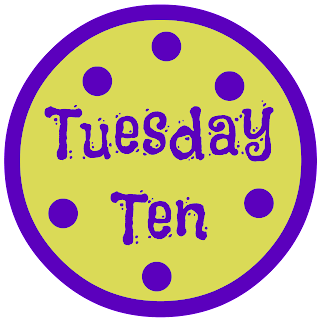 Tuesday Ten has been great and I'm looking forward to the new linkup! See... further proof that people love lists and letters! Maybe that's my editorial plan this year... letters and lists. Happy new Year!!! Love those years when steady progress is made. Cheers to you for all you've done this year. So happy to call you a friend and co-author! I remember some of your posts with tons of love and will have to check out the ones I missed! I hope 2014 is wonderful and magical for you!! People definitely love lists and letters! Happy New Year to you too! Thanks Kristi! So glad I can no call you a friend as well!